During the 2013 Colorado Legislative Session, legislation passed (Senate Bill 13-255) that moved the review of individual child fatality cases from the state-level to the local-level. Local public health agencies are responsible for establishing a local (or regional), multidisciplinary child fatality review team in their jurisdiction by January 1, 2015. In order to help orient community partners to the child fatality review process, the Colorado Fatality Prevention System staff at the Colorado Department of Public Health and Environment is hosting nine regional trainings throughout the state in late October/early November. Per statute, each local or regional review teams must include representatives of the following list of agencies. Refer to the table below to identify the training in your area. Training content will be the same for each meeting. If you plan on being involved in your local child fatality review team, please register for the training. You will receive information about the exact meeting location as soon as the meeting facility has been confirmed. You can read more information about the event in the invitation letter sent to community partners. The Colorado Child Fatality Prevention System (CFPS) is a multi-disciplinary, multi-agency team that makes prevention recommendations based on child fatality data in Colorado. Child Fatality Review (CFR) teams conduct systematic, comprehensive, multidisciplinary reviews of all preventable childhood deaths to better understand how and why children die. Using a public health approach, CFR teams examine the trends and patterns of child deaths in order to make population-based recommendations to prevent other deaths and improve the health and safety of children. 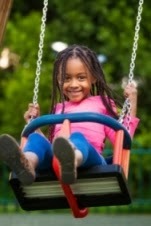 To receive email updates about the Colorado Child Fatality Prevention System or to read more about the system, please go to www.COChildFatalityPrevention.com and sign up in the "Follow by Email" field in the right column.